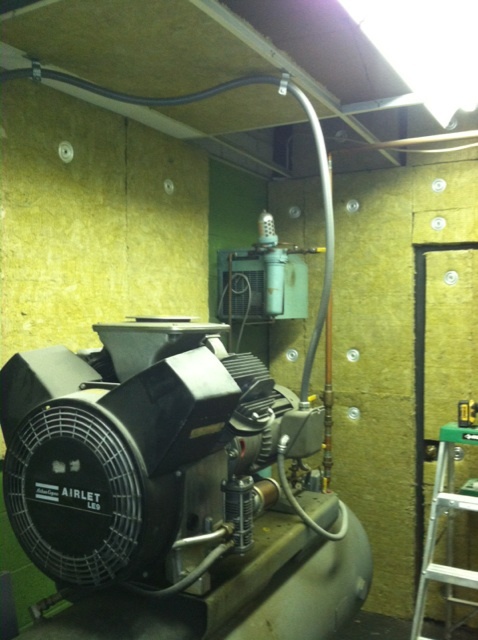 A loud compressor was disturbing the work throughout a machine shop building in Waltham MA. Workers and management in the building were getting distracted by the noise and needed a solution for it. 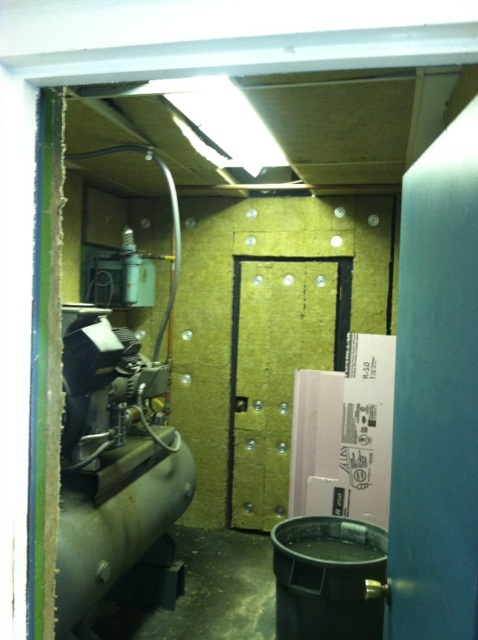 After calling New England Soundproofing to come assess the noise, we saw that the compressor was so loud, you needed earplugs to withstand the noise. After evaluating it, we concluded that adding absorption would bring the sound down to a reasonable level. 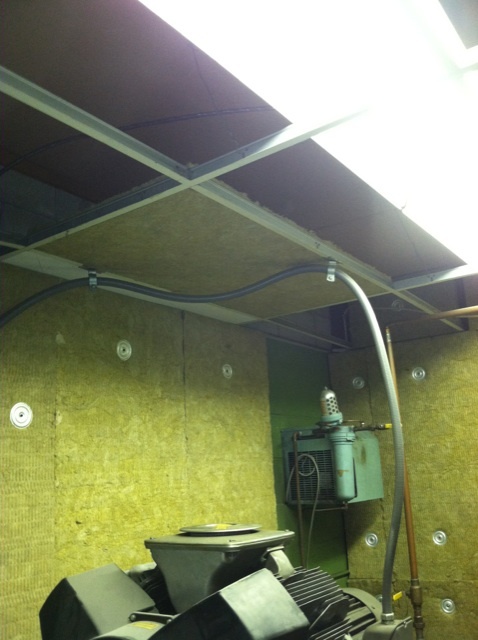 By installing the sound absorption panels all the ways around the compressor, including the ceiling, we could now walk into the room without earplugs, and the workers could work without being distracted. 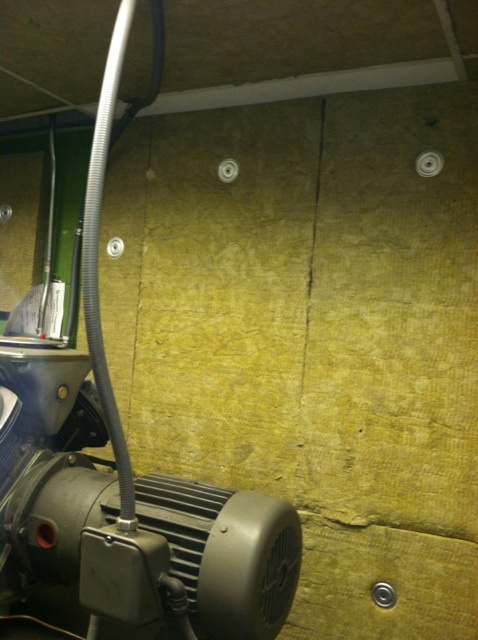 Many different machinery rooms have noise problems from all the machines, and the noise will just bounce off the walls and ceilings. 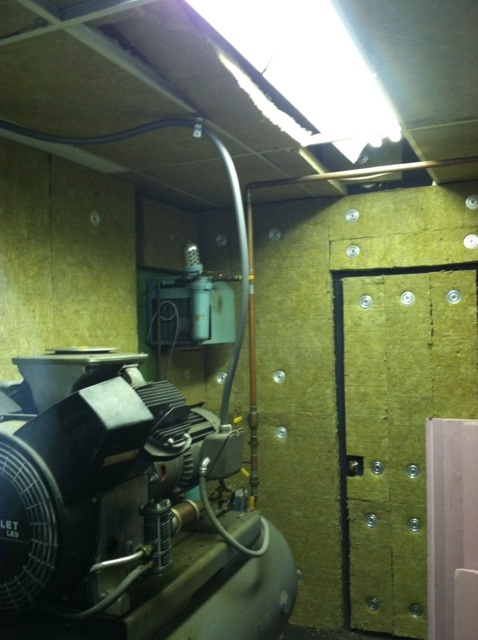 New England Soundproofing can reduce the noise and bring it down to a level of satisfaction. 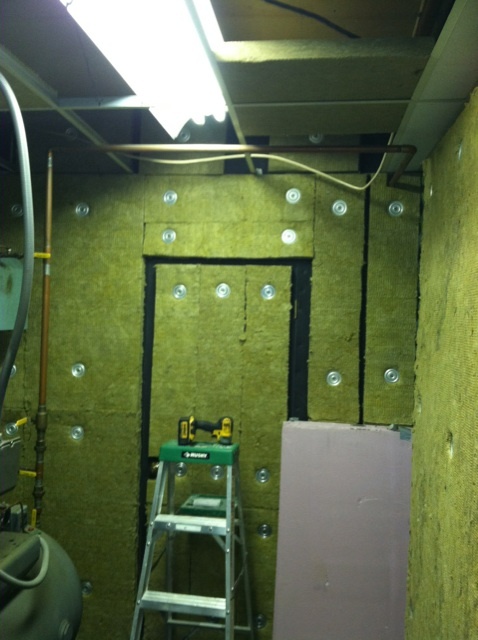 New England Soundproofing absorption panels allow for the proper absorption, in every scenario. 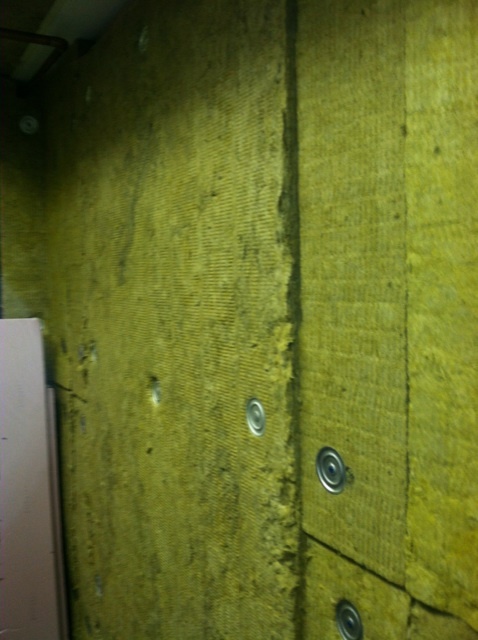 Call New England Soundproofing today to see how your machinery room noise can be reduced.